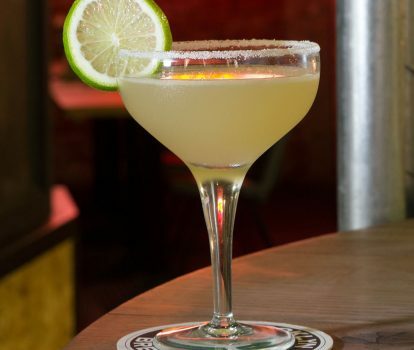 Enjoyed by everyone from gringos to girly girls, the golden margarita is the most commonly served tequila-based cocktail in the US. This punchy number will give you a wake-up call, with its mix of aged tequila, triple sec (such as Cointreau) and lime juice, often served with salt on the rim of the glass. The drink is either taken on the rocks, shaken with ice, or straight up, without ice. 1. Add all the wet ingredients to the cocktail shaker and fill with ice cubes. Seal it and shake like your life depends on it for around 15 seconds. Pour some table salt on a small flat plate. Run the wedge of lime around the rim of the glass to get some juice on it. Then upend the glass into the salt so it adheres to the juice on the rim. 2. If serving your margarita on the rocks, strain into an old-fashioned glass over cubed ice, or if straight up, strain into a coupé glass.